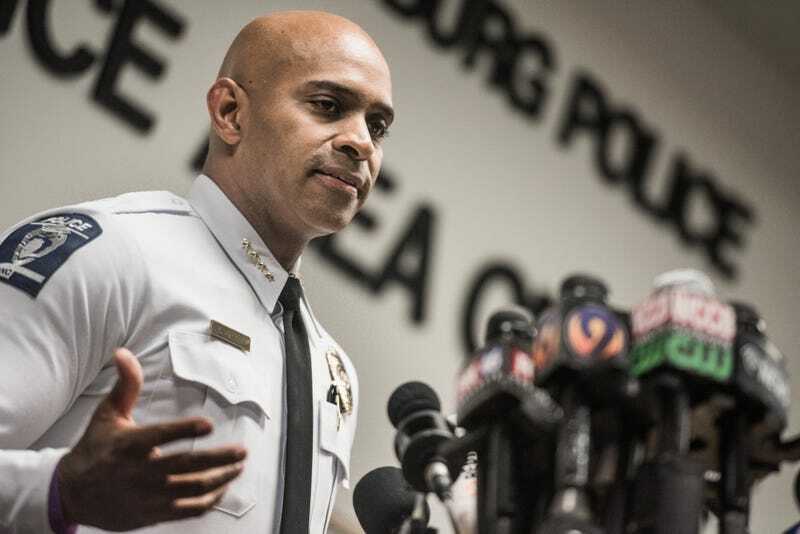 Officer Wende Kerl shot and killed Danquirs Napoleon Franklin at a Burger King around 9 a.m. on Monday, according to the Charlotte Observer. Police say Franklin was armed with a gun at the time of the shooting and refused to drop it when commanded to do so by police. But at least one witness is disputing those facts. Precious Robinson told the Observer that she was sitting in the restaurant’s drive-thru at the time of the shooting. She said an armed man was threatening a woman at the Burger King with a gun and a second unarmed man—Franklin—tried to intervene to help. Robinson claims police shot the wrong man. CMPD Internal Affairs will conduct an investigation into the shooting, according to the Observer. Officer Kerl, a 24-year veteran with the department, has been placed on paid administrative leave. This is the second deadly shooting for CMPD in 2019. In January, a man armed with a knife was killed outside a Family Dollar Store.